New Towns, Our Town – Stories on Screen is an innovative film project that seeks to increase the visibility of, and pride in, the story of the New Town movement, and the unique social history and heritage of these pioneering towns. 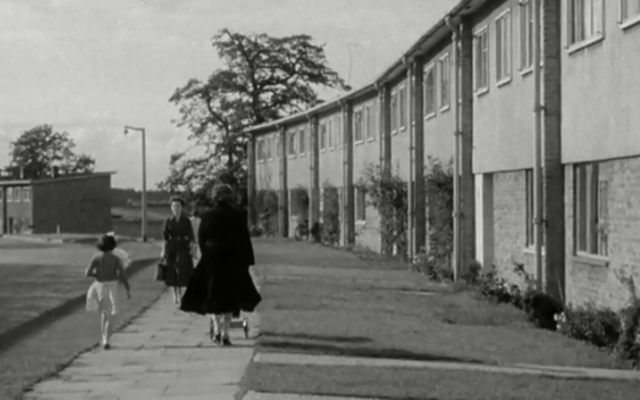 The project takes place in the first four of the UK’s New Towns – Stevenage, Crawley, Hemel Hempstead and Harlow – using rare archive film footage to explore the shared experiences of their residents. In May 2019, the project will go UK-wide, with teaching resources being made available to support using these films in the classroom, as well as a feature-length version premiering and touring across the UK from 17 May. Raising awareness for New Towns, Our Town – Stories on Screen started in October 2018 with pop-up screenings taking place in Stevenage, Harlow, Crawley and Hemel Hempstead. We also recruited and trained a team of local volunteers that facilitated our free community screenings and collected testimonies from residents about their reactions to the films and their experiences of living in their towns.